Continued from Best Pistol Drills 1 -Dry Practice. Once you can slow fire without flinching, as proven by dummy rounds in the Skip Loading drill, and you can shoot three-inch groups at 10 yards slow fire from a standing, unsupported, two-handed stance, your next goal is sustained fire. Start aimed in on target and shoot five rounds for time, proving you can still control the pistol under generous time pressure. Start at a pace slow enough as to not require quick recoil recovery. 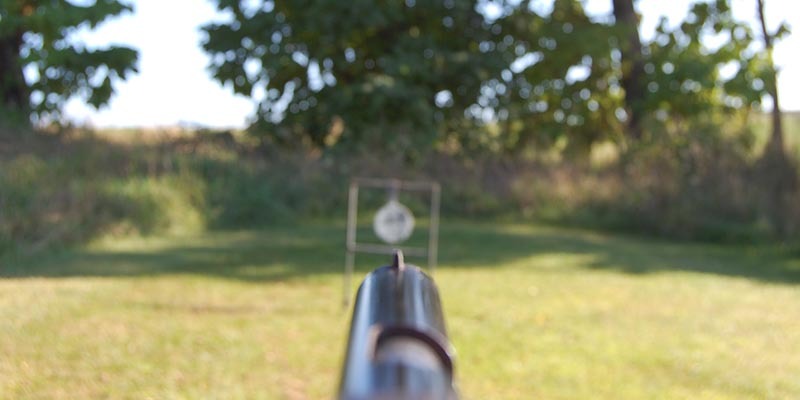 Four seconds per shot is about right to start, which can be measured with a shot timer to check each shot’s split time, or by shooting a five round string with a twenty second time limit. The pace can also be set by chanting a short phrase and shooting on or before a key word. For example, slowly chanting “Smoothly press the trigger and just let the GUN do it” repeatedly and firing a shot every time you say the word “gun” yields about four second splits. The pace is slow enough to allow slow fire precision so the grouping standard remains the same, or three-inch groups at 10 yards. These sustained fire exercises can be done with dummy rounds with one caveat. Skip Loading works best with slow fire because you are not having to recover from recoil to get the next shot off. Let the weapon fire as accurately as you’re able without worrying about a followup shot. Sustained fire at a slow to moderate pace, two second splits or slower, doesn’t require quick recovery so dummy rounds still test if the shooter is flinching. Be aware that as the pace quickens the shooter will need to haul the firearm out of recoil and back on target to get the next shot off. This timing of the gun in recoil requires an amount of controlled reaction after the shot to get the sights on within faster time frames. This has been called post-ignition push, occurring after the shot to counter recoil, as opposed to pre-ignition push (flinch) which occurs during the shot and errantly redirects placement. The caveat is that properly controlled post-ignition push looks like a flinch when the shooter hits a dummy round or a misfire as the muzzle dips on the unexpected click. Shooting sustained fire at a slow to moderate pace (two seconds per shot or slower) probably won’t require a post-ignition push and the shooter can allow the firearm to recoil and let it return on its own, but faster rates of speed will require the shooter’s timing of the gun and supplying a post-ignition push. If you’re not sure, a check of the target reveals the truth. Even at extreme speed, groups will remain roughly circular and expand only slightly. 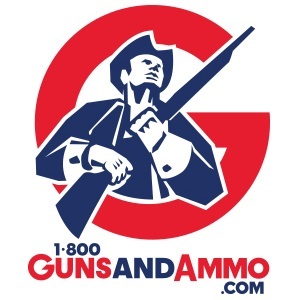 A skilled shooter firing five rounds per second (0.20 second splits) with a handgun will still produce 6-8 inch centered groups at 7-10 yards. Hitting an unexpected dummy round at such a pace will certainly reveal a dip of the muzzle at the click. If the groups are good, this is a necessary, controlled response needed to counter recoil at high speed. Such a shooter will be flinch-free during slow fire skip loading drills and will shoot groups with precision. Learning to shoot quickly requires learning to press the trigger without disrupting alignment within compressed time frames. Skip Loading teaches the “without disrupting alignment” part in slow fire and sustained fire helps with learning to speed things up. In working individual drills you’ll want to shoot as soon as the sights are on target but this need for speed can induce a pre-ignition push. Eliminate this tendency with the Now Drill. 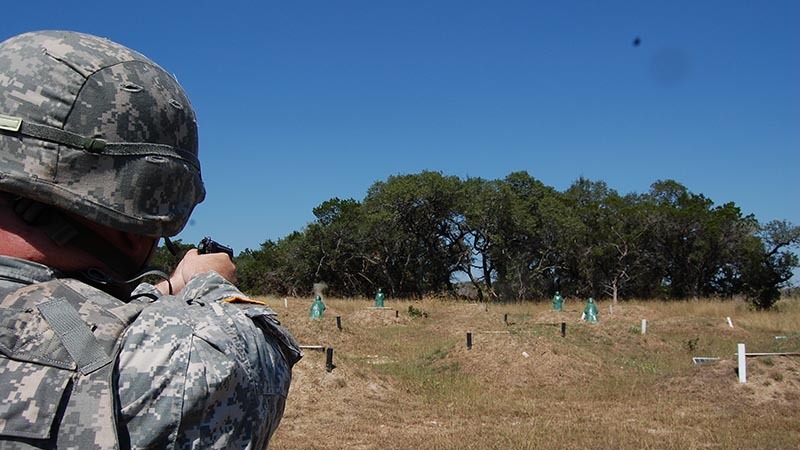 Practical handgun use needs the ability to shoot on demand without tensing or inducing a flinch, such as this Soldier smoking a pop-up target on the left. The Now Drill teaches this. You’ll need a shot timer with a delayed start or a friend with a whistle and stop watch. Line up on the same target you shot three inch groups at ten yards with, aim in and declare yourself ready. At an unanticipated start signal, fire the shot as quickly as you can while maintaining the three inch group size. Note how long it takes you to fire these shots but don’t fret about the elapsed time yet. Worry first about maintaining the group size. When you’re comfortable shooting this while maintaining your three inch groups, start to work the times down. If using a shot timer, set a par time several tenths of a second quicker than your current average time and strive to get the shot in group before the par beep. A par time of 0.50 seconds is a very reasonable goal and it is possible to go faster. Given that human reaction time is roughly a quarter second, and faster with practice, this allows a generous 0.30 seconds or so to press the trigger smoothly without disturbing alignment on an already aimed-in shot. This drill works well with Skip Loading as there is no need to recover from recoil. Break the shot and let the gun recoil or click. Especially as the time limit is reduced there is a tendency to want to muscle the gun and this drill helps prevent that by giving you the ability to monitor with dummy rounds while not confusing a flinch for a post-ignition push from recoil recovery. When the Now Drill shows progress, we’ll modify the drill by shooting single shots from a ready position. Aim at your ten yard target as normal then relax your grip and pull the pistol back towards a ready position. Only your arms should move and the rest of your body, especially your head, stays put. The front sight should appear below the target center with the rear sight lower still. Now push the front sight toward the target, allowing the rear sight to rise up into alignment. You should have good sight alignment and full grip pressure as your arms extend to your normal shooting position. From ready, your goal is to shoot one shot in less than two seconds still striving to keep all shots in a three inch group. View of the target and sights from a ready position. 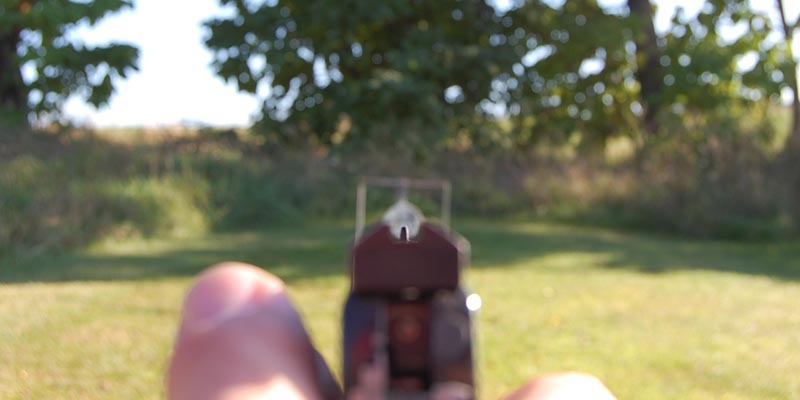 Focus on the target just as the pistol enters the bottom of your peripheral vision in your ready position. At a close target this might be an acceptable sight picture. This is a considerably smaller target than necessary, which we purposely use to encourage precise movement more slowly in order to develop smoothness and speed. We began by grouping on this target slowly, then by grouping in sustained fire with the pistol aimed in and firing one shot every two seconds. Now we’re working on the same groups after presenting to the target first within the same time limit per shot. As with the Now Drill, we’ll learning to move and shoot quickly while maintaining good, flinch-free trigger control. Pistol being pushed from ready to the shooting position. The grip acquires full pressure as the sights trace onto the target and the trigger is prepped. It is possible to shoot from here. When two second presentations from a ready position routinely yield three inch groups at 10 yards, quicken the pace. 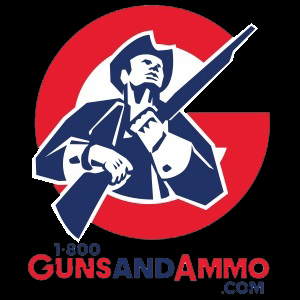 A standard exercise from the practical shooting world is to hit an eight inch target at ten yards from a high or instant ready in about a half second, including reaction time to the start signal. This can be done on a B-6 target (the bull/eight ring is eight inches in diameter) or a silhouette provided you only accept hits within the center scoring area (A zone, -0 zone) or similar thoracic cavity-sized target. The U.S. Army standard for the “fast” tables feature a single target exposure time of two seconds on a full silhouette. 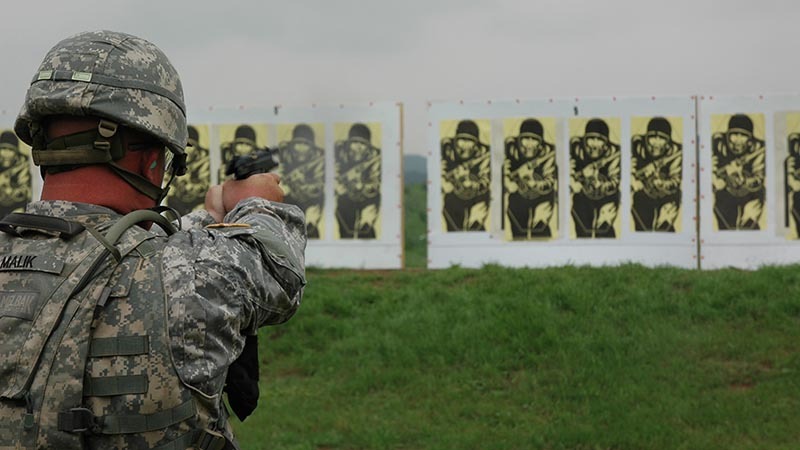 Presenting on and hitting an eight inch plate or score zone, a target roughly one third the size, in under 0.65 seconds, less than one third the time, is a 600 percent improvement over their “expert” qualification. Full extension, front sight focus, and ready to shoot. For close or large targets the shot can be triggered during the presentation as the pistol continues towards the target. 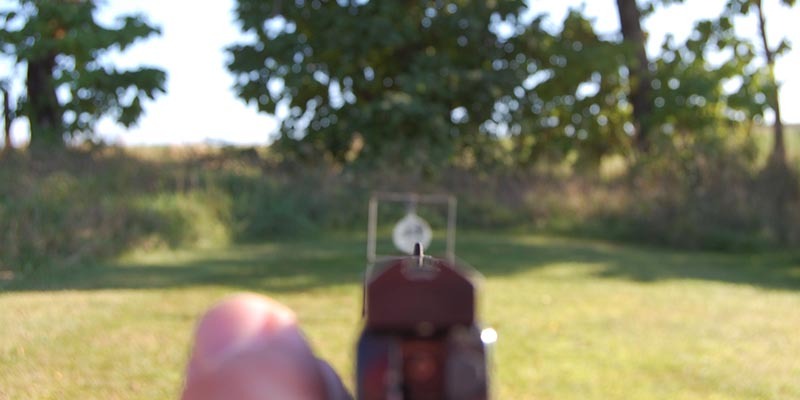 This can be practiced by shooting several shots as the gun travels from Instant Ready after achieving accurate, quick singles in the previous drill on an eight inch target at ten yards. Using this larger target, go back to a two second par time. At the start signal present and fire two aimed shots striving to get the second shot off before the pistol reaches full extension. When this yields consistent hits, try again with a triple, striving to get three hits before the pistol reaches full extension. With a two second par time, this is three hits center silhouette with the pistol still moving into position fired in the qualification time limit for a single shot. These drills are boring. There is no flash and photographing or videoing yourself doing them will probably yield no Instagram or Facebook cred. However, they work. Musicians call it woodshedding and the concept is the same. Refinement of fundamentals done on your own on a regular, on-going basis is the only way to develop true skill.